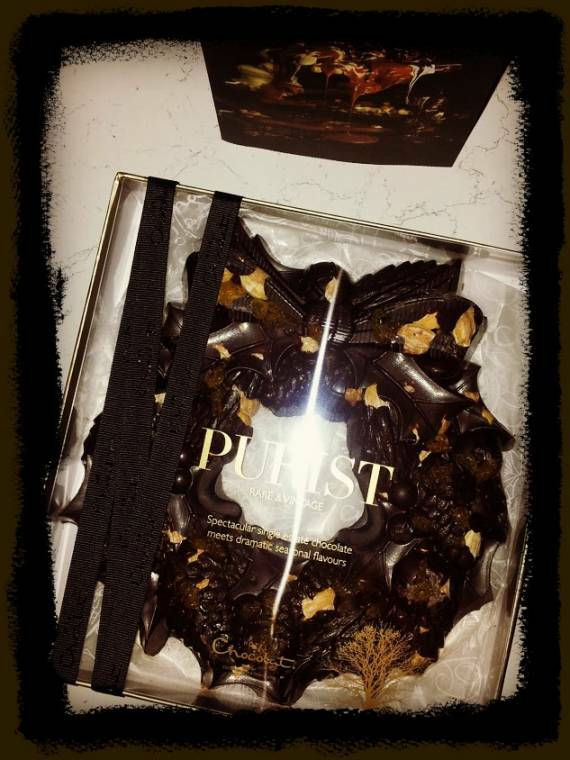 Hotel Chocolat Christmas Wreath Review. My children are already on the Christmas countdown. They are writing their Christmas lists to send to Santa, planning what seasonal films they want to watch and checking every morning to see if there has been some snow!! Even as an adult there is a sense of excitement in the air with the Christmas trees up in most of the town centres we have visited this week. What really gets me in the spirit this week was when I received this rather wonderful Christmas Wreath to Review from the lovely people at Hotel Chocolat. The Purist Festive Wreath arrived safely and was perfectly package up so as not to break in transit. Wrapped in bubble wrap the chocolate wreath was firmly placed in a slim cardboard package. This is such a wonderful wreath, after gazing at its beauty for some time the hunger pangs kicked in, thoughts then turned on how best to break into bit size pieces. I took the chocolate out and tried to break it by hand, wow, no way can this be done, off I went to find a hammer. Not having any nut hammers in the house out came the big one!! I placed the chocolate inside the box and began to smash away. 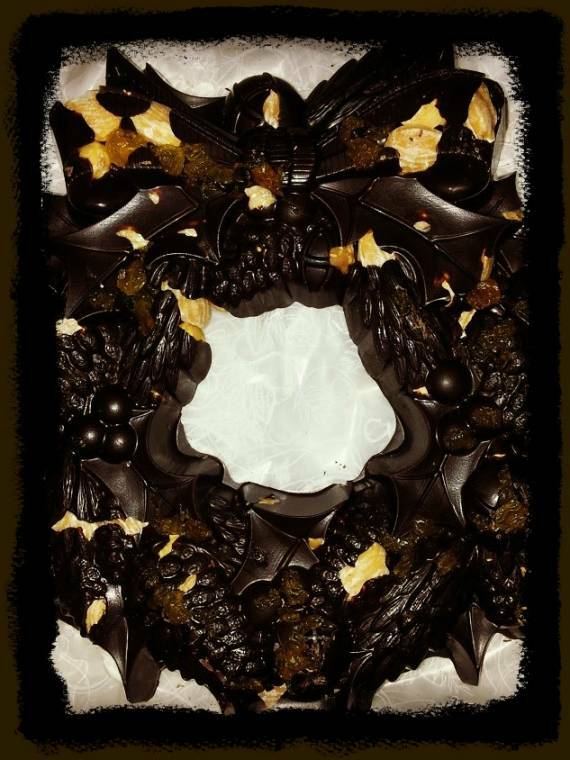 The Christmas wreath is made from dark chocolate and packed full of crunchy high-quality nuts and sweet raisins. This is such a lovely gift and you only need a little at a time or not!! A stunning centrepiece featuring rare 70% dark chocolate made with fine Arriba cocoa grown by a farmers’ cooperative in the Napo region of Ecuador – with plenty of rich and fragrant cocoa notes and hints of vanilla. 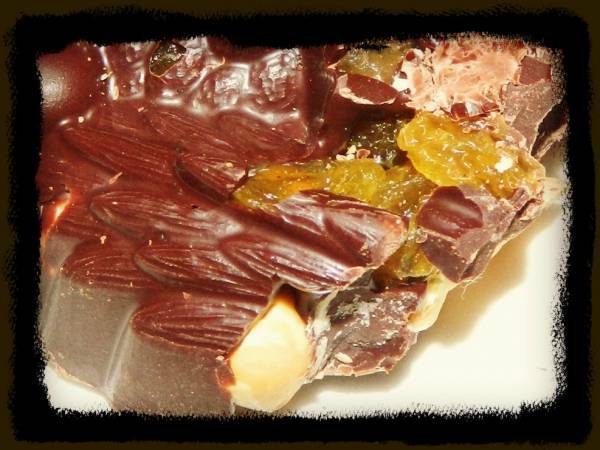 Contrasted with the crunch of premium Piedmont hazelnuts and Marcona almonds, and the succulence of jumbo golden raisins. Made to slice and share. I was sent the wreath for the purpose of this review. All thoughts are my own honest opinion and I was not paid for this post. "Brilliant Beetroot Chocolate Fudge Brownies…"
mmmmmmmmmmmmm yummy do you need any help testing the flavour??????????? 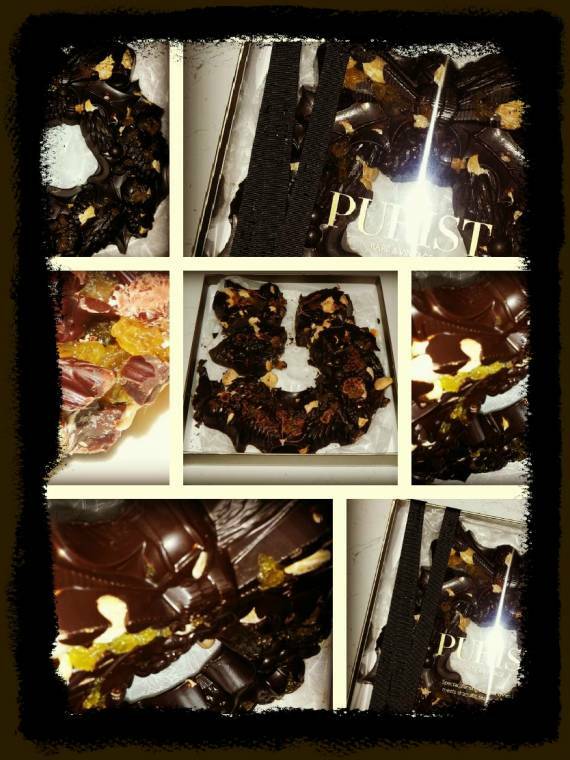 A chocolate wreath is real cool Clairejustine and so wonderful that it can be eaten! :) Looks so delicious. A lovely gift indeed! Good review!